Choro is one of the many wonderful styles of music to come out of Brazil, and “Choro” by Amilton Godoy is a great example. Traditionally played on winds and strings, choro translates very well to piano, as illustrated by Amilton and other luminaries. The original tune is composed as a theme and variations, but on her 1987 album Illusions Eliane Elias turns it into the simpler head/solo jazz form, as I have done here. 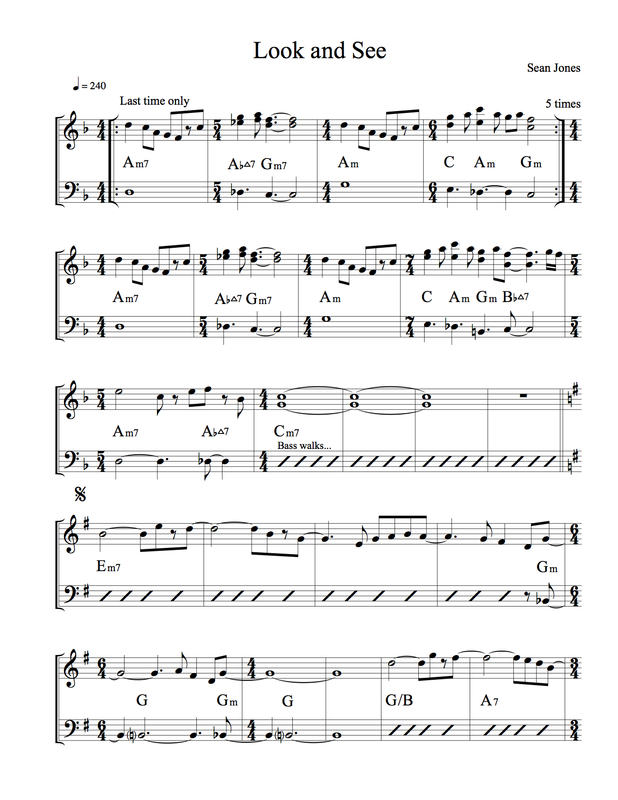 This entry was posted in Uncategorized and tagged Amilton Godoy, Brazilian, Choro, Eliane Elias, jazz, lead sheet, music, Noteheads, transcription on July 29, 2014 by noteheads. Billy Higgins has long been one of my favorite drummers. His light touch and sympathetic ear make him a great accompanist, gently prodding his bandmates to new places without stealing the spotlight. Just a few months after Billy’s death in 2001, Charles Lloyd released Hyperion with Higgins, a set recorded in 1999 with Billy, John Abercrombie, Brad Mehldau and Larry Grenadier. “Bharati” features the relaxed, lilting phrases and fluttering runs that are trademark Charles Lloyd. As is usual with Charles’ tunes, it’s hard to tell how much of the theme is written and how much is improvised. I tried to stay true to his rhythmic motives but the melody should be interpreted loosely. 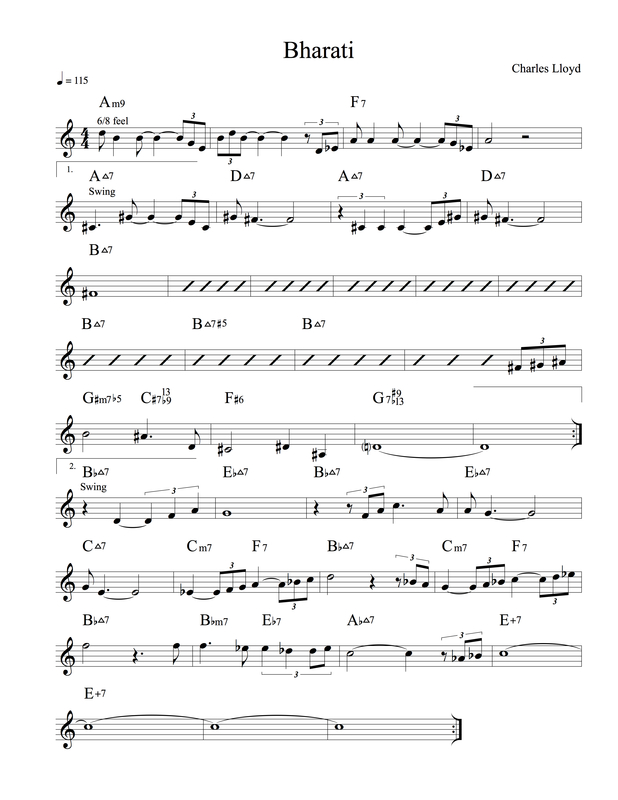 This entry was posted in Uncategorized and tagged Bharati, Charles Lloyd, Higgins, jazz, lead sheet, music, Noteheads, transcription on July 21, 2014 by noteheads. I first heard this song on the radio while on a long car trip last year, after which I couldn’t get it out of my head. As soon as I got home I bought the album, No Need For Words by trumpeter Sean Jones. Sean’s band handles the song’s shifting time signatures and tonalities with aplomb, and throughout the set they impart both intellect and passion to his soulful compositions. I look forward to hearing their new album, which comes out next week on Mack Avenue Records. Click the link above for the full .pdf chart. 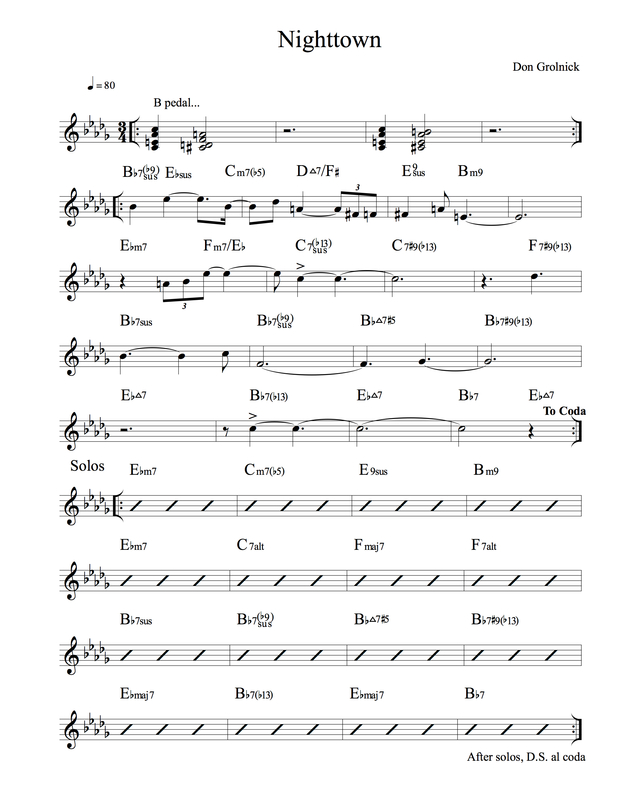 This entry was posted in Uncategorized and tagged jazz, lead sheet, Look and See, music, Noteheads, Sean Jones, transcription on July 14, 2014 by noteheads. On my recent travels I visited Nighttown in Cleveland. The club, named after the neighborhood in Joyce’s Ulysses, has been hosting great jazz for 50 years, and it shows by the wall full of autographed portraits. The great pianist Don Grolnick wrote a pretty song also called “Nighttown”, and here it is. 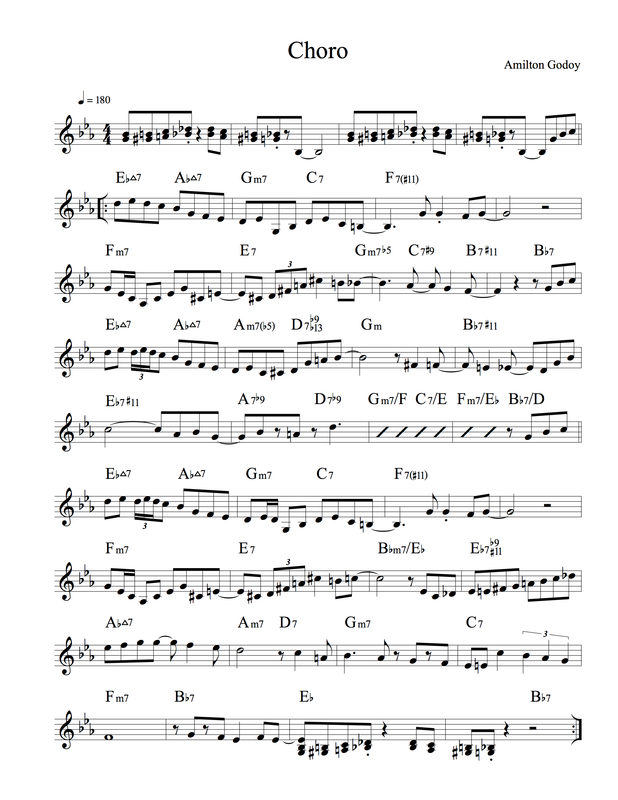 This entry was posted in Uncategorized and tagged Don Grolnick, jazz, lead sheet, music, Nighttown, Noteheads, transcription on July 10, 2014 by noteheads.